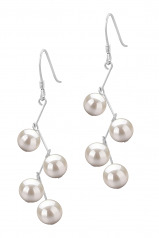 Graceful yet also sophisticated looking our Mickey White Freshwater Pearl Earring are also soft in style. 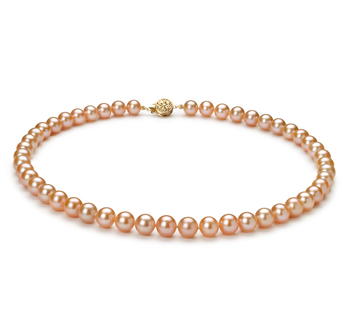 With their classic look and delicate nature, this is the ideal item of jewelry to be worn on a very special occasion, such as at a wedding or to a formal event such as a black-tie dinner party. 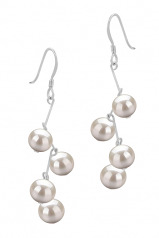 Whilst conveniently affordable, the look and design of this pair of white Freshwater pearl earrings are anything but that. The round shape of the pearls adds definition and character to the design and gives fullness to the 1.9” length of these drop style earrings. 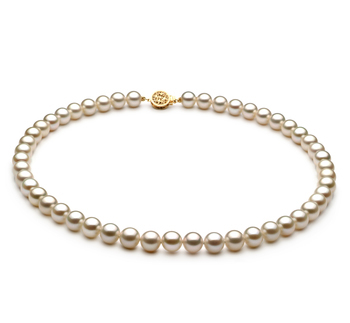 With the swirling of silver and elegant design, the AA quality luster plays well over the surface of these beautiful white Freshwater pearls. 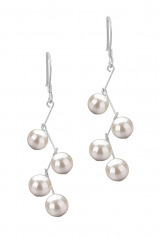 As the light reflects off the surface of these Mickey White Freshwater Pearl Earrings from various angles they give off just the right amount of glow to lighten up your face. Show only for "Mickey Earring Set"